Diverse groups of microbes live and work together in dense, interactive communities. These microbial ecosystems are involved in reactions ranging from producing feedstock chemicals to refining biofuels to altering toxins underground. How the communities interact, specifically, by coordinating metabolism, remains a major knowledge gap. Dr. Hans Bernstein is working to change that situation. 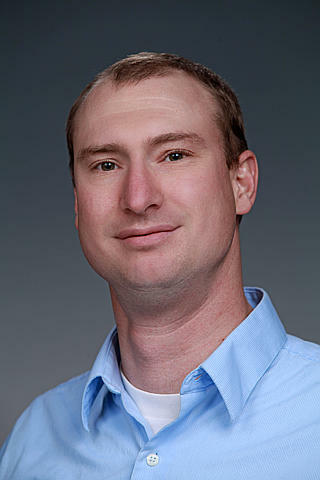 Bernstein, a Linus Pauling Fellow at Pacific Northwest National Laboratory, and his colleagues at Montana State University, his alma mater, have reconciled traditional process engineering principles with ecological theories to help guide the future of microbial community engineering. In collaboration with PNNL's Foundational Scientific Focus Area, these researchers specifically outlined how interactions between the system components of microbial communities may be interpreted to guide the design, building, and testing process required to engineer microbial communities for the next generation of bioprocess applications. "We are not interested in following the pack by engineering proteins, genetic devices, or even microorganisms. Rather, we take a unique approach to synthetic biology by asking how specific interactions between organisms can be engineered to capture and control beneficial emergent properties that lend themselves toward biotechnology," said Bernstein. They laid out their approach in Chapter 15 of Biotechnology for Biofuel Production and Optimization, published by Elsevier. In this 27-page chapter, they distilled a broad range of ecological theories into three ideas that bridge the gaps among biologists, chemical engineers, and other interdisciplinary scientists. "The chapter lays a foundation which will assist the maturation of community engineering from a primarily exploration-based assembly of species to a rationally designed process firmly grounded in established theory," said Dr. Ross Carlson, MSU. By reconciling engineering principles with classic ecological theory, interdisciplinary scientists can work together to learn about coordinated metabolic behavior in microbial communities. With this information, scientists can implement novel designs to harness the communities for biofuel production, carbon capture and storage, bioremediation, ecosystem rehabilitation, and field deployable biosensors capable of reporting ecological tipping points in a target environment.